2015 must be the "year of the customer"
2014 was a year of rapid and transformational change for business technology. For example, wearable devices started to make their mark with the high-profile launches of the Apple Watch and Puls, and software-defined networking (SDN) allowed network and data centre managers to think in a completely different way. Most of these trends were driven by the continual evolution of consumer behaviour and its resultant effect on businesses. These trends will continue this year, and likely be amplified, making 2015 the "year of the customer" as businesses embrace new technologies in order to cater for increasingly discerning consumers. Companies that haven't caught on to this yet will find themselves needing to adapt their processes and underlying infrastructure rapidly to keep up with their customers. The evolution of consumer behaviour, brought about by customer expectation, social media and mobility, led to an increase in the speed of business last year. This is now causing technology headaches behind the scenes for many organisations. Today's customer engagement is based around agility and timely responses to queries, issues and trends: if you don't get there first someone else will, grabbing your customer in the process. However, most businesses are still relying on legacy networks that are slow, inflexible and often unstable. Research conducted by Avaya last year shows that organisations often spend more than nine months per year waiting to make the network changes required to deliver a new or improved service to the business. This year, thanks to a better understanding of the key role network plays in business enablement, companies will begin to move to a next-generation approach using software defined or fabric-enabled technology, which can cut costs, while being much faster and simpler to run in order to cater for this new customer engagement landscape. According to research from the Cloud Industry Forum (CIF) released last summer, some 80% of large enterprises in the UK have adopted at least one cloud-based service. Consumers too, sometimes unknowingly, have embraced this technology through services like iCloud and Dropbox. This points to 2014 really having been the year of the cloud – the year when this technology finally permeated not just big business, but also the consumer consciousness. Despite this, cloud uptake is not so high among midmarket companies. While many of them use it for email and disaster recovery, communication-related applications – such as videoconferencing, unified communication and collaboration – still mostly remain on-premise. However I think that we are now at a tipping point. The European midmarket is booming and these fast growing companies are looking to realise efficiencies and agility wherever they can – including communications applications. Thanks to tailored midmarket solutions, the time is ripe for cloud adoption. What's more, putting business comms applications into the cloud gives midmarket companies the flexibility and agility that allows them to respond to their customers even more quickly and appropriately, enabling them to meet ever-increasing customer expectations. Last year we saw wearable devices continue to gain momentum, from the hype around launches to test-case uses in healthcare. Wearables provide a fresh means for consumers to interface with businesses and for companies to provide a new type of customer engagement. I believe that this year we will start to see an increasing number of organisations offering customers the ability to interact with them via their wearable devices. For example, banks might offer video chat via wearables to customers who are having trouble using an ATM. 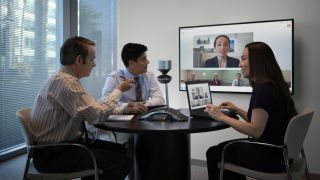 As consumers have become more and more accustomed to watching and communicating via video, businesses have increasingly been offering video chat to their customers. At the same time, research shows that Generation Y typically prefers not to use the phone, while Generation Z shies away from email too, making video these millennials' first-choice communication method. With every passing year these generations make up a higher percentage of the workforce and in 2015 their growing spending power will continue to fuel this trend. As 2015 gets underway, there are more than 1.3 billion active Facebook users and 280 million Twitter accounts, creating billions of conversations daily. Reflecting this, social media engagement seems to have become a numbers game as companies focus on growing the size of their following. However, organisations are now starting to recalibrate their strategies towards a quality-first approach, examining the impact on sales and their overall business objectives. In doing so, they will rely not just on analytics, but also on an omni-channel customer engagement platform that seamlessly feeds social media analysis and interactions into the contact centre. As customers continue to take centre stage and businesses engage with them in new and different ways we will see those that encourage the most interaction become the most successful businesses this year.